The Swirl bowl is characterised by a swirling design, which is reminiscent of marble because of its deliberately uneven surfaces. Each Bbwl was painted by hand and is therefore unique - no bowl looks like another. 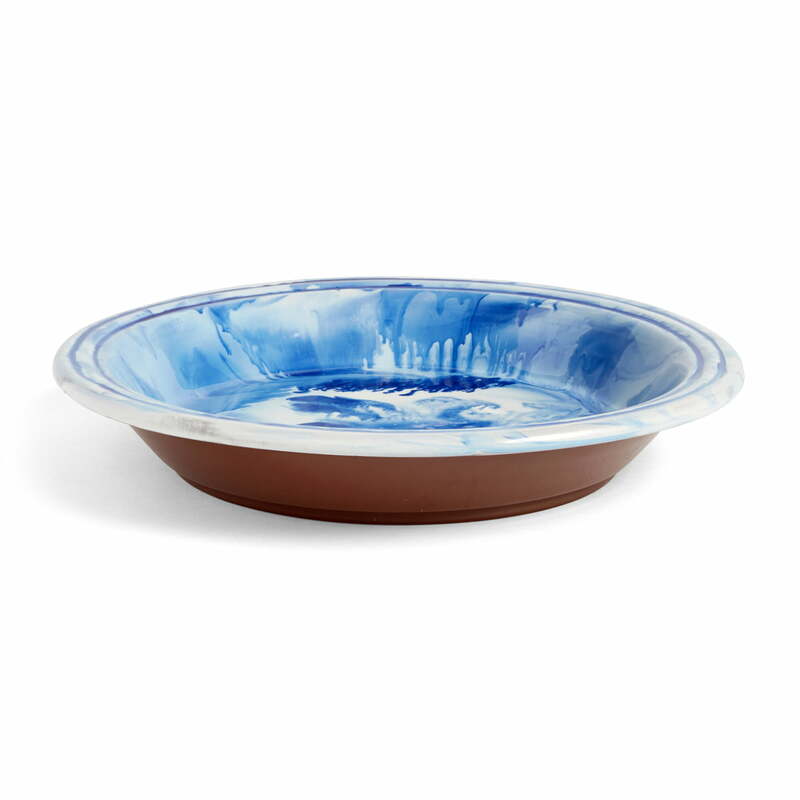 The Swirl bowl is made of terracotta, which is visible in contrast to the painted marble effect on the outer sides of the bowl. 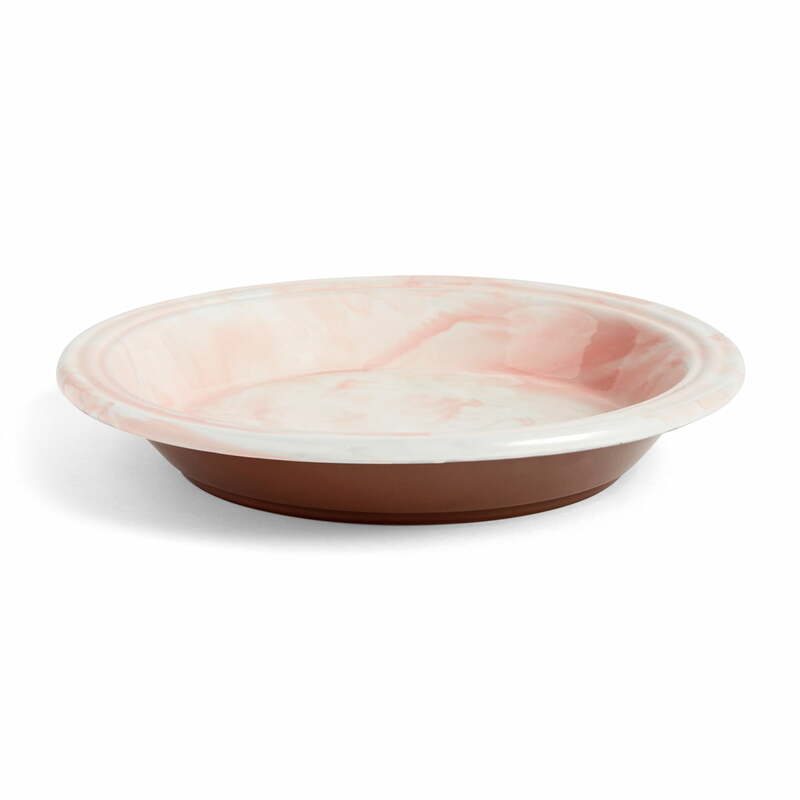 The bowl with a diameter of 36 cm can be used to present fruit, for example. When guests come to visit, the bowl can also serve to present delicious snacks and sweets. Placed on the table, the bowl provides a great eye-catcher. Available in various colours, every bowl can be wonderfully combined. Isolated product image of the Swirl bowl Ø 36 x H 6.5 cm, pink. The Swirl bowl is characterised a swirling design, which is reminiscent of marble because of its deliberately uneven surfaces. Isolated product image of the Hay - Swirl Bowl, Ø 36 x H 6.5 cm, blue. Each Bowl was painted by hand and is therefore unique - no bowl looks like another.